For one-stop shopping for all your grilling needs, including accessories and replacement parts, this is the place for quality made components. 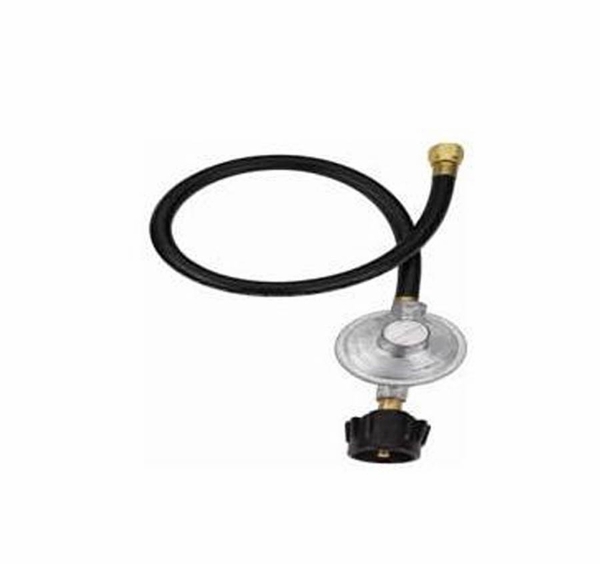 This regulator and hose for a propane grill comes complete with a 1/2 inch flare connector, is acme threaded and durable, not to mention easy to install. But if you still have questions, do not hesitate to contact us by telephone to guide you in the installation process. You can count on us to provide you with genuine, quality built parts. * Please Note: This item is intended only for portable grill units. It is not recommended for built-in configuration grills.